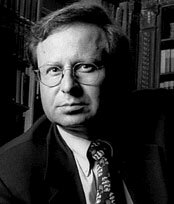 Steven Koonin joined New York University Stern School of Business as a Professor of Information, Operations and Management Sciences in September 2012. He is also Director of NYU's new Center for Urban Science and Progress (CUSP). Professor Koonin was confirmed by the Senate in May 2009 as Undersecretary for Science at the U.S. Department of Energy, serving in that position until November, 2011. Prior to joining the Obama Administration, he was BP's Chief Scientist, where he was a strong advocate for research into renewable energies and alternate fuel sources. He came to BP in 2004 after almost three decades as Professor of Theoretical Physics at the California Institute of Technology, serving as the Institute's Vice President and Provost for the last nine years. He most recently held a position at the Science and Technology Policy Institute of the Institute for Defense Analyses in Washington, DC. Professor Koonin is the recipient of numerous awards and honors, including the George Green Prize for Creative Scholarship at Caltech, a National Science Foundation Graduate Fellowship, an Alfred P. Sloan Foundation Fellowship, a Senior U.S. Scientist Award (Humboldt Prize) and the Department of Energy's Ernest Orlando Lawrence Award. He is a Fellow of several professional societies, including the American Physical Society, the American Association of the Advancement of Sciences, and the American Academy of Arts and Sciences, and a member of the Council on Foreign Relations and the U.S. National Academy of Sciences. Professor Koonin received his B.S. in Physics from the California Institute of Technology in 1972 and his Ph.D. in Theoretical Physics from MIT in 1975.